Dapper Street Jazz Orchestra - Big Band Swingin'! Dapper Street Jazz Orchestra is a Charlotte, NC based, 3 - 12 piece band/orchestra made up of some of the Charlotte region's finest musicians and vocalists. 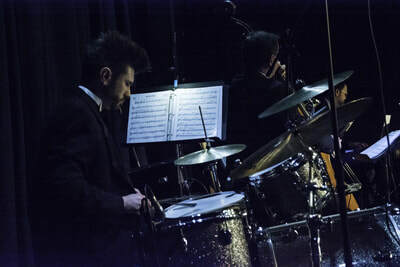 Founded in 2016 by Nicci Canada and Letron Brantley, Dapper Street Jazz Orchestra is dedicated to performing the world's finest big band music, from early compositions in the genre to brand new, modern works. Dapper Street's desire is to provide the Queen City and surrounding area with the opportunity to hear great jazz played by local talent and aiming to educate and entertain. A variety of composers’ works are presented at performances under the musical direction of Letron "L Train" Brantley. With a vintage feel from the 1920's - 1940's, the DSJB would be a welcoming additions for your special occasion. DSJO can personally cater to your entertainment needs. Take the work out of preparation and allow Dapper Street to create an immersive, live music production for your organization. contact us for your entertainment needs.